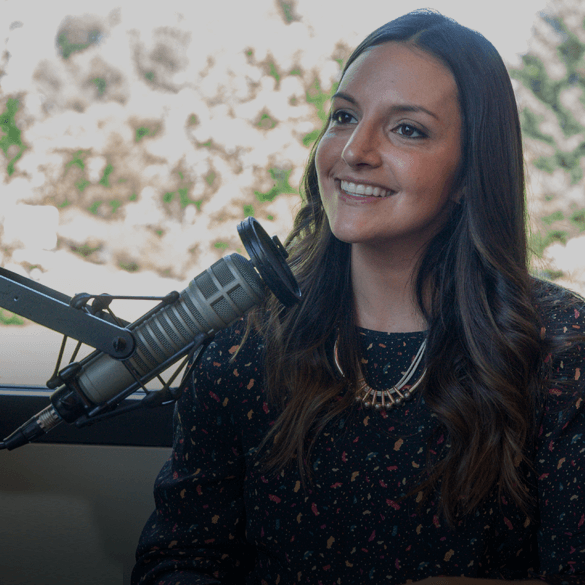 Brit & Co founder Brit Morin knows: You can marshal the power of millennials to grow your company, but you have to keep evolving — and help them evolve. You have to redefine your concept of loyalty. Brit is driven to continuously evolve into her most authentic self, and to help her (mostly millennial) audience—and team—do the same. Transcript below. "The best piece of advice I would give: Be incredibly authentic." "I believe you can marshal the power of millennials to grow your company, but you have to evolve with them — and help them evolve." Brit Morin is founder & CEO of Brit + Co, a digital media and lifestyle brand that reaches 175 million/month and aims to inspire and education women on how to do almost anything. Psychotherapist Esther Perel is a relationship expert, who has lately turned her attention to work relationships. She’s host of the podcast “Where Should We Begin?” and bestselling author of “The State of Affairs.” Her TED talks have been viewed more than 25 million times. ESTHER PEREL: I was in Sicily this summer and I was in a small village where there were about 15 churches. These churches organized the entire communal living. Everybody knew who they were, everybody knew what they believed in, everybody knew how to deal with the incomprehensible, with the dimension of suffering in our life, and with the dimension of evil in our life. And relationships in that village were organized by rules and by obligations and by duty. REID HOFFMAN: That’s Esther Perel, relationship therapist, bestselling author and host of the podcast “Where Should We Begin”. She’s describing this small town in Italy, en route to a much larger theory about our modern lives. In the center of traditional village living, there’s a tradeoff. PEREL: You had very little freedom, if any, but you had massive certainty and clarity. And you had a firm sense of identity and belonging. This is where we came from in the West, that is still a part of how a lot of the world lives, but in our urban Western living, relationships have undergone a massive makeover. We have shifted from rules to options and choices. PEREL: You have to decide when you wake up, there’s no rooster, there’s no church bells; you have to decide when you go to bed, you have to decide what you eat. There’s no seasons telling you what you’re going to be getting off the land. You have to decide how much you will work, how many children you want, if you want to have children. You have to decide who’s going to be the primary bread winner, who’s going to wake up to feed the baby? HOFFMAN: Esther believes the weight of these choices form the backdrop to all the decisions of our modern lives — from how we choose our partners to how we choose our jobs. PEREL: Everything today is yours to decide, and the burdens of the self are very heavy, and that is what young people often bring to work. HOFFMAN: The weight of all this choice and uncertainty is clearest in the generation of people we call millennials. PEREL: Today identity is a process of self-definition. That is the biggest shift that has occurred in terms of how we see ourselves. I define who I am. And so I have to constantly be in a process of evaluation. Am I “this” enough, am I “that” enough, am I ambitious enough? We live in a constant process of evaluation, it’s debilitating. HOFFMAN: It’s like being trapped in a carnival attraction that combines a bounce house and a hall of mirrors. Just when you think you’ve found your footing, you see a hideously distorted image that you barely recognize as yourself — and it throws you off balance again. This uncertainty poses challenges that can leave the most experienced of managers scratching their head. PEREL: Managing millennials is nurturing millennials, it’s not about just assessing their work. It’s about recognizing their needs, it’s about helping them to develop. HOFFMAN: It’s a constant feedback loop that may be foreign to some of us from an older vintage, but natural to many in the younger generation. PEREL: You have both things, you have people who are massively independent and self starters, and then you have those who desperately need to be seen and to be noticed, and to be recognized, and to be validated, and to be encouraged, and to be promoted. They’ve done it for one year and they expect to be promoted. And the Boomer generation waited 10 years. And the generation of their parents generally didn’t even expect a promotion, they just went, they were promoted and told that God had descended on them. HOFFMAN: Don’t get Esther wrong. She isn’t calling for us to return to an idyllic and mythical past where we live on the same street our entire lives, spend our waking hours ploughing the fields, and marry our first kiss at the county fair. What Esther is asking us to do is recognize that many of the stereotypes about millennials—the alleged self-interest, the supposed lack of commitment—are symptoms of our times. PEREL: When you ask what do people need today in order to do good work? They need to be flexible. They need to be able to deal with change. Change, change, change. HOFFMAN: Millennials are the generation most adapted to this constant change. As employees and customers, they will tend to push for change, both personal and organizational. Like the world around them, they are in a state of constantly becoming. I believe you can marshal the power of millennials to grow your company, but you have to evolve with them — and help them evolve. In short: You have to redefine your concept of loyalty. HOFFMAN: I’m Reid Hoffman, founder of LinkedIn, investor at Greylock and your host. And I believe you can marshal the power of millennials to grow your company, but you have to evolve with them—and help them evolve. In short: You have to redefine your concept of loyalty. As a switched-on listener of this podcast, you likely look on general labels such as “millennial” with a large dose of skepticism. And I’m right there with you. I have to admit, I’m not totally on board when it comes to the grand unified theory of the millennial. At worst, it’s a one-size-fits-all lazy joke that’s used to tarnish an entire generation. What if you crack it open—start poking and pulling at its gears and mechanisms? Yes, you’ll have a clock that’s even more broken. But you’ll also have a better understanding of how clocks work in general. And it’s knowledge you can apply when your next timepiece breaks down. This is what I want to do in this episode with the term “millennial”. Yes, it’s imperfect. Yes, it’s a gross generalization. But it’s also useful. But that doesn’t mean we can’t use it to see what makes people of that generation tick. As Esther observed, millennials have evolved in a world where the only constant is change and where individuals have an enormous amount of choice. And as I’ve poked and pulled at the cliche, I’ve come to believe the stereotypical millennial has a viewpoint not far from my own. I wrote a book called “The Startup of You”. I don’t believe in taking one job for your whole life. As a manager and an investor, I believe in tours of duty, not lifetime appointments. I seek out employees who want to constantly evolve, and opportunities that allow me to do the same. That said, I want to admit upfront that I actually don’t interact on a day to day basis with a lot of millennials. And that’s why I wanted to speak to Brit Morin about this. Most of her users are millennials—as is Brit, her team and the hundreds of contributors who create the articles and videos on Brit and Co. Brit’s success in scale is thanks to her deep understanding of her generation. She is driven to continuously evolve into her most authentic self, and to help her team—and her audience—do the same. It’s this commitment to constant co-evolution that has won her their loyalty. BRIT MORIN: I do consider myself a millennial, but I think that term has been overused quite a bit and in many ways, it’s garnered a negative rap. Oftentimes people think millennials are too self-serving and don’t care about others. Millennials were always the ones to get the blue ribbon participation award at all of the athletic events. We’re so self-entitled and demand promotions every six months. I think the other part of it is that we, as millennial women especially, have been taught, to ask for things that we believe we deserve. And the worst case scenario is that we get turned down, but at least we’re asking. I think we are just one of the first generations to truly want to define our worth at such an early age. PEREL: This notion that I am in this constant evaluation. I don’t think this is fundamentally new, but the scale of it. Plus we have social media, and that social media is one big fake news and it tells you just the happy stories, that you’re constantly wondering: why am I not living that happy story? It’s all on you. If you make it, you can brag about it up to the wazoo; but if you don’t, you have only and only yourself to blame. HOFFMAN: Millennials are also the first generation to grow up steeped in the hyperconnectivity of the modern world. Brit was an early adopter herself, and she also saw the dawning of the internet age as a generational opportunity. MORIN: I think I hit the goldmine as a teenager: it was the late 90s, Napster was happening, Amazon bookstore was just getting started, Geocities and AIM were all the rage, and I just could not get enough of it. All my friends were on AIM, we were all playing around with the internet. I knew that this internet thing had something to it, and it was going to be the future of media and content and the way that we share. And I wanted to be a part of that revolution. HOFFMAN: For Brit, that meant getting to Silicon Valley as fast as she could. MORIN: I took a lot of computer science and I ultimately decided I wanted to get to Silicon Valley as quickly as possible. I chose my college, the University of Texas, not because it was a great school, which it is, but because I could test out of almost two years of school and move to San Francisco at age 20. HOFFMAN: Brit started her career at Apple. The company’s resurgence was in full swing, thanks to the iPod. Brit was soon working for the company full time on iTunes. MORIN: It was actually still kind of hard to sell iPods to people and part of my job was thinking about what went on the iTunes homepage and how we would curate the new artists of the week and the singles of the week, and expose them to this massive community of people downloading music for the first time. HOFFMAN: Brit was already thinking about how to tap into huge audiences. The iPod was a hit. But there were rumors swirling that there was something bigger on the horizon for Apple—a phone. Speculation was wild, but within the famously secretive Apple, Steve Jobs wasn’t giving away any clues. Not even to his staff. He looked at me and he sort of laughed like, “Oh, little Britney …”—that was my name back then—”We would never compromise the quality of putting together a camera, an iPod, and a telephone in the same device. When you put three things together, one has to give, and Apple stands for high quality devices. We aren’t doing it.” Six months later, the phone launched. HOFFMAN: What lesson did you take from that act of deception by Steve? MORIN: I took away a ton of marketing messages and learnings from Apple in just the way that they launched products, the way they built products, the way that Steve talked about the minutiae of the detail that went into the core processors of the phone, and the computers, and everything else—and you had to buy it immediately. He, to some extent, was not just a visionary, but he was a performer, to me. MORIN: He was a performer, to me. HOFFMAN: Steve Jobs had outright lied to her. But Brit didn’t take offense. She didn’t see him as inauthentic. It was part of the performance. And performance, by its very nature, involves deception. As long as it isn’t malicious, we the audience will buy into it. Just as we accept the misdirection of a magician. And in similar terms, Brit wasn’t being disloyal when she dared to ask about those iPhone rumors. She was showing that she cared about the company and where it was heading. In some cultures—and some generations—it would be impertinent for a young team member to ask such a question. But Brit’s a millennial. She knew that Apple would keep evolving, and that she’d keep evolving during her time there. An open conversation about those intertwined paths made sense to her. And while Brit had been drawn to a career in tech, she was still trying to find her path. After less than a year at Apple, at age 21, she applied to Google. Brit was attracted by the learning opportunities from all the new products. She got a position on Google Maps, and helped to launch services like street view and driving directions. MORIN: It was almost like the initial social network because the one thing we all have in common is the places we go and the places we like to experience together. HOFFMAN: Google was the ideal learning environment for the endlessly curious Brit. Not only was it a hotbed of new ideas and products. It also actively encouraged its employees to get involved across different parts of the business. If you’ve listened to the Masters of Scale episode called “How to make the star employees you need,”—then you already know what I’m about to tell you: Marissa Mayer was one of the driving forces behind this culture of exploration. She was also one of Brit’s mentors. MORIN: I loved working with Marissa, she ran the product team at Google while I was there. She quickly became my female mentor. There weren’t many women in the executive suite at Google during my time there and she was one of them. She would come to work in these Oscar de la Renta dresses and she was a total badass in meetings and she was never okay with the status quo, she wanted us to try 20 A-B tests of the shade of blue on the button. I learned that you can be feminine and you can also be intelligent—and you can be young and you can also be an executive. HOFFMAN: And it was Marissa who suggested YouTube to Brit for her next move. HOFFMAN: Why did Marissa give you that advice? And then what was that experience like? MORIN: I think Marissa is one who can figure somebody out very quickly. She knew early on with me that I really liked consumer products, I really liked content. YouTube was a community and YouTube was content-oriented, and YouTube had celebrities and influencers and brands. She literally told me like, “You could work with the most famous chefs in the world on YouTube, you can work with people like Martha Stewart and Rachael Ray,” and she talked to me about these people as if I was going to be best friends with them. HOFFMAN: What Marissa understood intuitively, was that employees like Brit needed to constantly evolve—and each step along the way had to feel authentic to her. Brit was not the type of person who would just “put in her time” to get ahead. But if Marissa could keep Brit engaged and constantly learning—if she could help Brit evolve—then Brit’s passion and energy would help Google evolve too. At YouTube, Brit had a front row seat at the start of a new, distinctly millennial, approach to content and branding. It was driven by the new online communities where anyone could be a content creator. MORIN: What I thought was so interesting within YouTube was influencer communities that would all network with one another to cross-promote each other’s content, with the idea being: if you took 100 YouTubers who didn’t have much of a following but you were all cross-promoting one another, at the end of the day, all boats rise, and at some point part of your audience would go check out the other person’s audience. This became a way to quickly grow a following within YouTube. HOFFMAN: Brit’s generation was taking to this new way of expressing themselves. But Brit also saw firsthand how the older generation lagged behind. This was especially clear when she tried getting the big TV networks on board with Google TV, Google’s smart TV project. MORIN: As you might expect, about 95% of them said no. They were either locked in contracts for other cable operators for several more years and couldn’t get out of them; they wanted to put a paywall in front of every little thing, which totally broke our user experience; or they literally didn’t have developers who could build it. This idea of a digital television was so foreign to them and they had no idea how to get started. HOFFMAN: But while the old guard of TV networks shrugged their shoulders, a new kind of content creator was on the rise. These mostly young YouTube stars could reach audiences of millions with just a webcam and wifi. And they made up for their lack of production values with their authenticity. They were experimenting and evolving every day on camera — and helping their viewers evolve as well. Brit was struck by the immediate, direct connection these young stars were forging with their viewers; it was worlds away from the old guard in entertainment she was negotiating with. MORIN: To me, when I contrasted that with what I was seeing at YouTube and these 18-year-olds starting channels in their bedrooms and amassing millions of dollars and millions of subscribers, it was obvious that there was a gap right in the middle, where you could build a digital-first media brand tailored towards young people with more premium content than that which was on YouTube, and potentially grow a nice business from it. HOFFMAN: Brit was unsure of the precise nature of that opportunity. But she felt its pull strongly enough that she decided to take time off to explore the possibilities. So at 25, Brit quit Google. She gave herself 6 months to experiment and hopefully hit upon her new project, all the while recording what she did on her blog. She gravitated to a Maker’s Space in San Francisco. MORIN: It had just launched, it’s like a gym for making things. You pay $99 a month and can come in anytime and use wood saws, laser cutters, 3D printers, screen printers, sewing machines, anything you can think of to help you make stuff. And it blew my mind what I could start making, and it was any idea in my head can become a physical thing – and in the process of 30 minutes I just started making everything: jewelry, home décor, basically everything for my wedding. I was also the only woman in Tech Shop that I saw around me, it was all dudes making Star Wars figurines on 3D printers, as you can imagine, in San Francisco. HOFFMAN: Brit shared her creations on her blog. And she was open with her readers about not being an expert. Her audience identified with this open admission of imperfection. It inspired them. HOFFMAN: While working at YouTube, Brit had learned how to build an audience the size of Martha Stewart’s in a way that would appeal to millennials. HOFFMAN: It wasn’t just Brit’s wedding guests who were impressed. Her followers on Pinterest and her blog also loved Brit’s creations—and the way she embraced being a work in progress. She was evolving, and so could they. The response made Brit realize that this could be the basis for her startup. She launched a website aimed at showing her followers how to make stuff. MORIN: I knew it was going to be a content site and so it needed content, so I had to create the content. And I didn’t have professional cameras or editing skills or anything like that, I was using my phone—the one that Steve told me wasn’t going to exist—and coming up with crazy ideas. I remember making lasagna and using cookie cutters to cut it into interesting shapes, and I remember at Thanksgiving, instead of a traditional Thanksgiving dinner, I made a Thanksgiving pizza, where the biscuits were the crust, and the mashed potatoes were the sauce. And that was just doing all kinds of crazy things that I thought were interesting and of course, writing it up on my site as if we had created all of this at the company. You know, most startups start in a garage and mine started in the dining room. HOFFMAN: Another thing that was clear to Brit was that she would be the brand. MORIN: I came out of YouTube, which was all about these creators and influencers. And the channels that had the highest rate of engagement were human-led channels. They were people looking back at the camera in their bedrooms, having honest conversations with their audiences. And I knew that this was going to be what the future of content and media looked like for this next evolution of digital media and I wanted to create it. HOFFMAN: Brit built her one-person brand — and her following — across YouTube, Pinterest, Twitter and Facebook. She was evolving as fast as she could, and bringing her audience along with her. But she couldn’t be a one-person content factory if she wanted to scale. HOFFMAN: When did you start thinking about the crowdsourcing as an integral part of this scale strategy? MORIN: I knew I couldn’t hire hundreds of writers and editors and makers to be creating this content all the time, and that we needed to rely on our community (what we eventually called our “Co.”) to help do that for us. But I wanted it to be really high quality content, and not just the stuff you would see on a random blog or in the Pinterest feed. We began to find these women who were chefs, who were interior designers, who were photographers, who were artists, and we started to employ them to create content with us and for us. We began to have hundreds of these women making many pieces of content per week, and ultimately we were building up that content database extremely quickly. HOFFMAN: The contributors were being paid. But Brit knew she wouldn’t win their loyalty with money alone. Brit’s contributors needed to feel they could continually evolve, and that the management was supporting them. MORIN: This is their side hustle or their part time job or hourly job, and they want to know that their work is good and that you’re giving them dedication and support. Any one of our editors is typically managing seven to 10 writers or creators. That tends to scale really nicely for us, so it gives us ability to have nice interaction and engagement. HOFFMAN: And this need for appreciation, this desire to feel fulfilled, is something Brit has emphasized throughout her team of millennials. MORIN: We do a lot of things to try to keep our millennial workforce pretty engaged in the office. We do reviews and promotions once every six months. We bring in external speakers. We have a lot of social events. We have career coaching. We have kudos boxes where you can actually write up notes of appreciation for other employees. Something called “Creativity Day”. You get $50, and you cannot come to the office. Instead, you have to go learn or do something creative. We see some people programming and learning how to code, engineers building furniture. And we see writers and editors knitting blankets. It’s just such a cool way to practice what we preach. It really is important to consider the ways that you can give opportunities to your employees to do things like give back and appreciate one another as often as possible. HOFFMAN: You might think that these activities and perks are aimed at retaining team members. And this is true, to some extent. But Brit is also realistic. With her generation, fulfillment doesn’t necessarily equal longevity. MORIN: I do think millennials wanna be fulfilled. They want to work for a company that has a true mission and purpose and cares about giving back and cares about its consumers. And the other part of fulfillment for millennials is that we just want to try to a lot of things. We’re the first generation that’s grown up in the digital era, where we’ve been given the opportunity to explore thousands and thousands of topics by the time we’re 18 years old. And there almost isn’t a niche anymore, because every niche has a true community behind it. Millennials are often changing careers every 2 to 3 years. And I found that to be true with my own employees here at Brit + Co. I think what they’re looking for is diversity. They want a lot of snacks instead of a whole meal. And that diversity is leading them to find the type of career that truly does fulfill them and fulfills their life’s purpose with meaning and value. HOFFMAN: This challenge just might be at the core of the millennial management malaise. Employees want to be nurtured and fulfilled in their jobs. They want to keep evolving. But often that means evolving right out of the company. Esther Perel hears about this challenge all the time. PEREL: Everybody’s talking about loyalty, which they don’t want to call loyalty, so they call it retention. Because something about the fragility of these bonds is very palpable, and yet everybody’s talking about team building, and off-sites, and retreats where you solidify the bonds. And they may be really solid, but they are solid for two years, and then after that you are meant to move on and to see where else you can find your fulfillment. And it is not about money, the lure is the quality of your life there, the quality of your experience. And it isn’t even because you get free food, it’s because somebody sees you and is willing to invest in your development. On some level you don’t have even to go to therapy. The therapy is happening in the work space. HOFFMAN: For me, passion in the workplace isn’t something that can be bought. All the backrubs and bento boxes in the world aren’t going to help your employees feel fulfilled if their goals are fundamentally different to yours. Instilling true passion is about aligning goals. And while it is true that this will encourage loyalty, or retention, or whatever you want to call it, you have to realize that goals change. The alignments can drift apart. Until they are following separate courses. This is certainly not unique to millennials. MORIN: We’re always aware that oftentimes people might leave the company to take a whole different type of spin at a new career. We’ve had people leave to become nurses and yoga instructors and to start companies of their own. And to be honest, we just agree that that’s normal for this generation and that we have to always be open to the idea of hiring replacements for many of our employees because at the end of the day, our average tenure is about 2 ½ years, which is sad but true to believe. HOFFMAN: Here’s where I disagree with Brit: a 2 ½ year tenure is only sad if your expectations are wrong. Think of it as a tour of duty. You agree to work together for the length of a particular project — or for as long as the evolution makes sense. The only thing you have to be careful about is being true to your word. When you sign up for a tour of duty, you finish it. HOFFMAN: One of the things I’ve heard for example, like hearing in recruiting millennials, is they’ll accept the job, but then keep interviewing to see if a better job comes along. You’re like, no, no, no, you’ve accepted the job, that’s a contract. It isn’t kind of keep trading into the new thing. And so you have to kind of say, look you’ve got to understand that in a network world, yes, you could possibly get a lot of opportunity and you need to figure it out, you need to kind of get there, but in a network world your reputation also follows you around. And if you’re essentially going, well I don’t care about you, it’s all about me, and I don’t understand that there is a contract, then that negative reputation will follow you along and people won’t invest in you. Because part of the whole thing of the alliance, is the reason why there’s an alliance is like a hand shake, its we both agreed to do this tour of duty. And we’ve made a mutual commitment to each other. It’s a two way commitment. HOFFMAN: One of the defining aspects of the millennial stereotype is that it’s a generation that’s glued to their screens. But think about it in another way: the phone is primarily a tool for connecting with other people. MORIN: With our community, it’s really been about these offline events and experiences, which has also been something we’ve done since the start of the company. Because I deeply believe that this generation of young people in their 20s and 30s long to get rid of their phones and computers and actually interact in the real world. And in fact the latest statistic is that 78% of millennials would rather buy an experience than a thing. We’ve hosted these festivals and conferences and pop-up shops and maker fairs and all kinds of different ways of interacting IRL, in real life. We’re seeing upwards of 15,000 women come to these things and they’re so engaged and they’re learning, they’re doing, they’re making. HOFFMAN: So for all the talk of social media and screen time, perhaps at base, what millennials yearn for is real connections with real people. MORIN: I think the largest piece of advice I would give is to be incredibly authentic. It’s been proven now that even on Instagram Stories or Snapchat, holding a camera in front of your face and having really raw, unproduced video or photos is actually creating higher rates of engagement than super-premium video footage that’s been overly produced and crafted. This generation does not get the depth of connection with real humans live in person as we used to in previous generations and so it’s almost as if there’s a yearning for that real authenticity to shine through. HOFFMAN: And when it comes to work, there are few better places to connect with people and explore your creativity than in a startup. It’s perhaps no coincidence then, that we’re seeing more startups than ever. Esther Perel has some observations on this too. PEREL: It used to be that knowledge and experience was handed down through generations. Working the land was communal, but startups are communal too. I find it just very, very beautiful to see the amount of creativity that goes on. And all over the world, and all over the world that entrepreneurship is happening. This is not just a Western phenomenon. Everybody is not waiting for some authority from above to tell them how things are going to be done. And we call that disruption. That’s a great term. The notion is that the initiatives come from the grass roots up from the bottom up, and there is no age. Many of the solutions are literally arriving by 15-year-olds. HOFFMAN: So it’s much more than appealing to a generation. It’s much more than an artifact of millennial culture. It’s a new way of doing things. A base from which future generations can continue to evolve and maximize their potential. PEREL: We did away with many of the communal structures in the last 100 years, and everybody is trying to find alternative communal structures. HOFFMAN: Because these tensions have affected us all. And we all need to harness them by building new forms of communities that support each other in this new world. And this is what excites me most. Because it demands that we work together. And that in doing so, we maximize everyone’s potential. PEREL: I think is really interesting to see the enormous amount of self initiative. There is definitely not a mentality of just I’m going to go look for a job. There’s a real sense of gig economy and the various things that you can do. The entrepreneurship is so driving and inspiring, it’s just everybody’s looking for another idea of another little problem that could be solved that you hadn’t thought about. It’s ingenious, it’s creative, it demands collaboration.